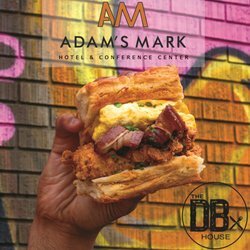 Browse through the photo gallery of Adam’s Mark Hotel & Conference Center at the Sports Stadium Complex. 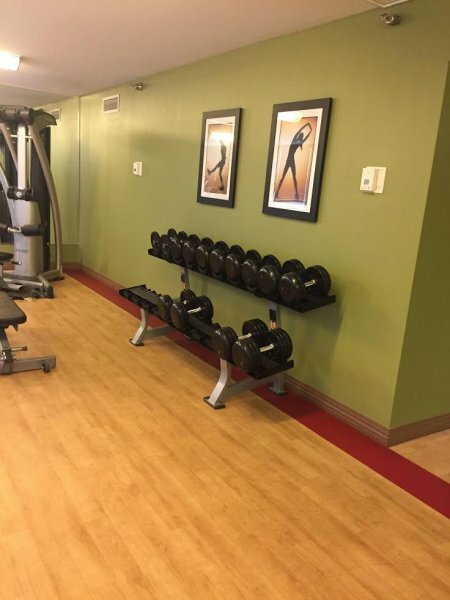 Included in your stay is a host of convenient amenities, including free high-speed Wi-Fi, access to our heated indoor and seasonal outdoor pools, and updated 24-hour fitness center. Easily walk to Kauffman Stadium and Arrowhead Stadium to catch a game and return back to your hotel room for a comfortable night’s rest. 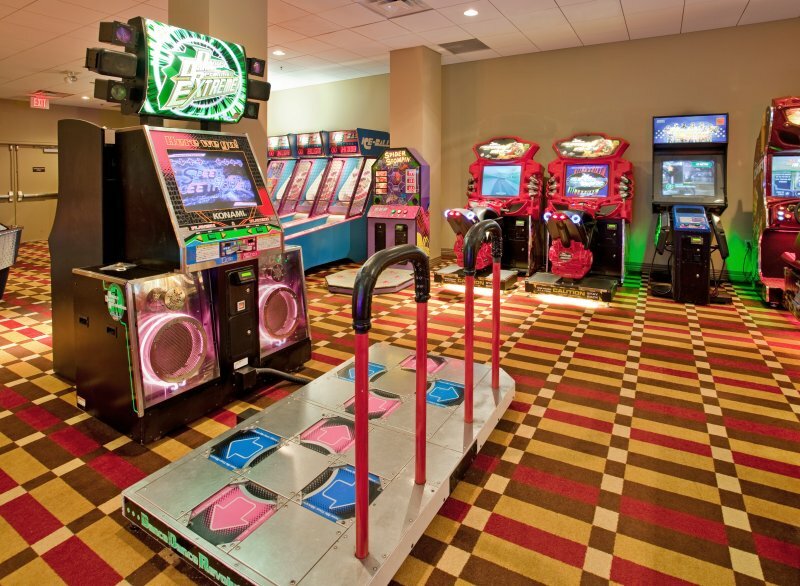 There’s no shortage of things to do at Adam’s Mark. 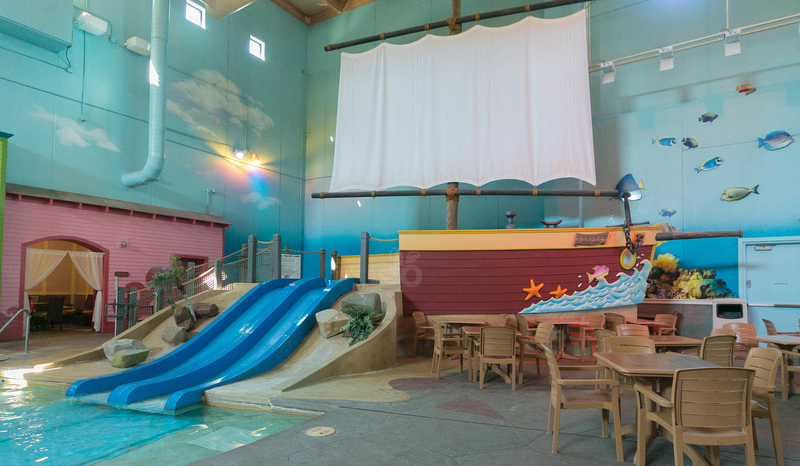 Kids will love exploring the water slides and lazy rivers of CoCo Key Water Resort. 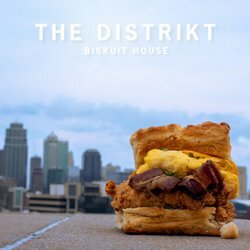 Catch the game with a drink in hand at Casey’s Bar or indulge at the famed Distrikt Biskuit House, a staple eatery in Kansas City. 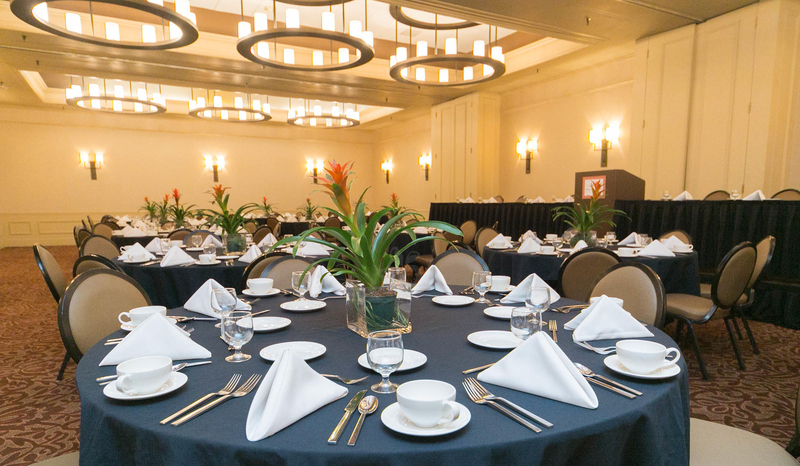 For guests planning an event, host a breakout session, professional conference, or elegant wedding at our conference center. Discover Adam’s Mark Hotel & Conference Center at the Sports Stadium Complex through our photos! 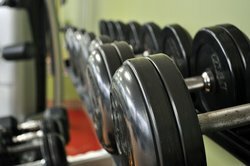 Park for free at our sports stadium hotel! 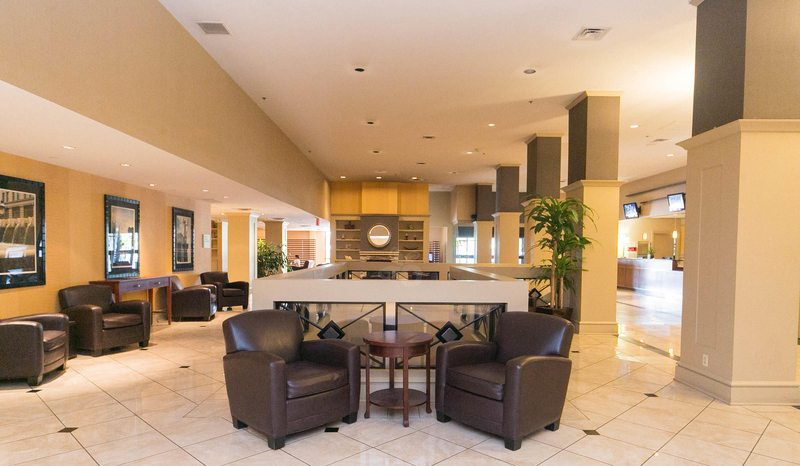 We have several accessible spots by the front door, areas for large vehicles such as motor coaches, and 12 electric charging stations. Stay next to Kauffman and Arrowhead Stadiums at our hotel in Kansas City, Missouri, perfect for sports fans and travelers looking to explore the heart of the city. 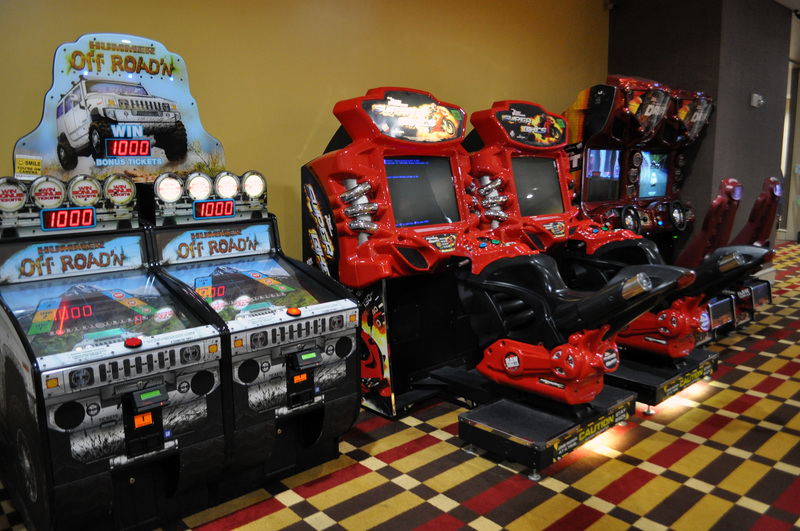 There’s no shortage of things to do at Adam’s Mark. 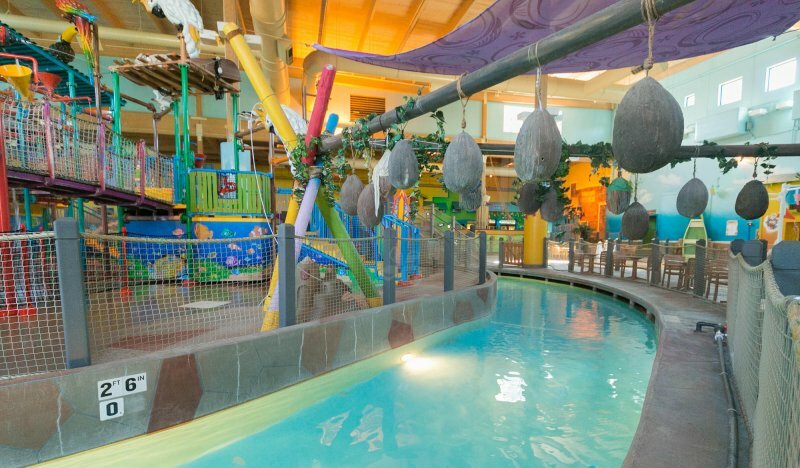 Kids will love exploring the water slides and lazy rivers of CoCo Key Water Resort. Our hotel offers shuttle service to Chiefs and Royals games, a 24-hour fitness center, and an indoor and outdoor pool. 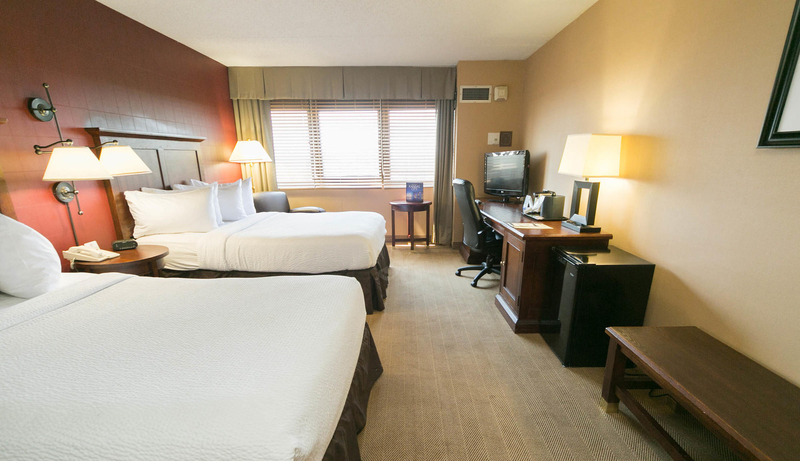 ﻿Whether you’re visiting on business or for a relaxing vacation, our hotel near the Sports Complex in Kansas City, MO is your new home base. 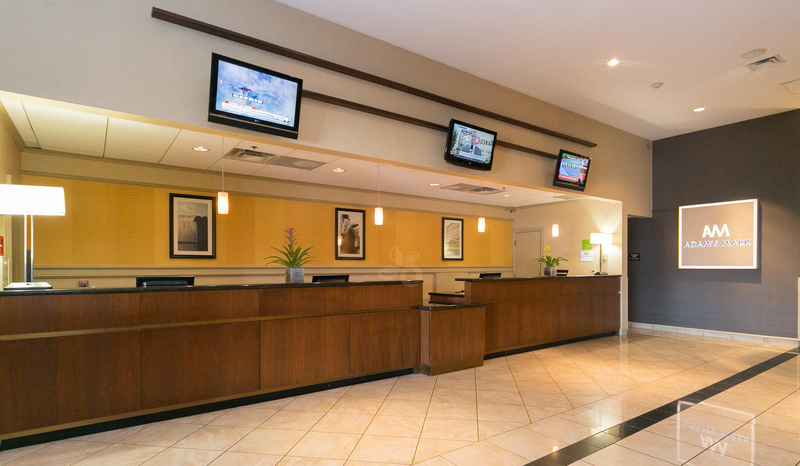 Stop by our front desk for express check-in and late check-out! We’re always here to help arrange shuttle service to the stadium, provide complimentary copies of USA Today, and to offer local recommendations for Kansas City. 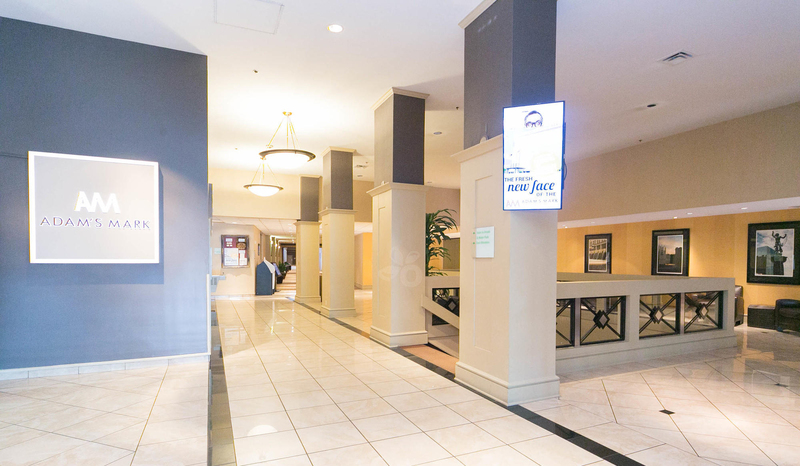 Book your stay at our accessible hotel today and contact our guest services team with any other questions about Adam’s Mark Hotel & Conference Center at the Sports Stadium Complex! 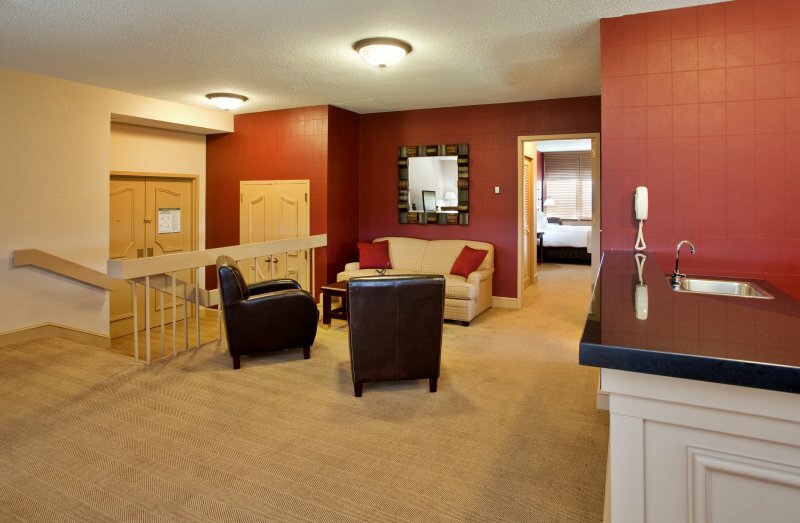 Maneuver with ease at our ADA-friendly hotel. 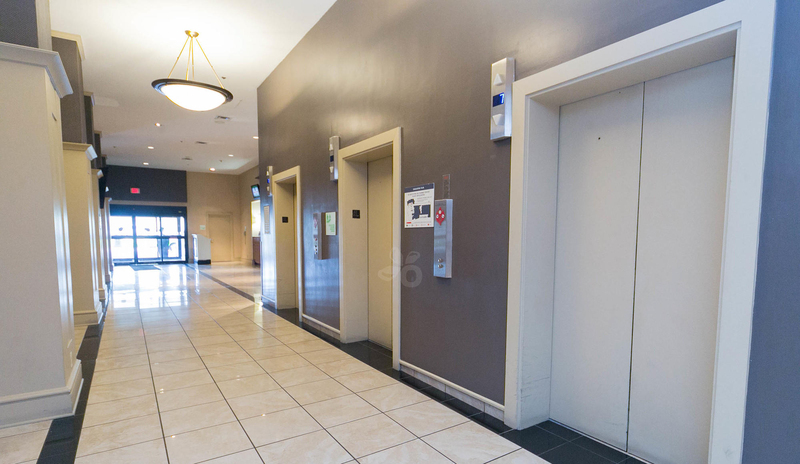 All hotel main entrances are accessible via wheelchair ramps and electronic doors. 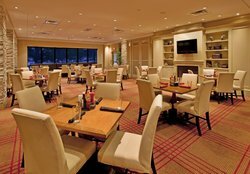 Our public areas are accessible by all, including our restaurant, meeting space, and restrooms. Book your ADA-compliant guest room today! 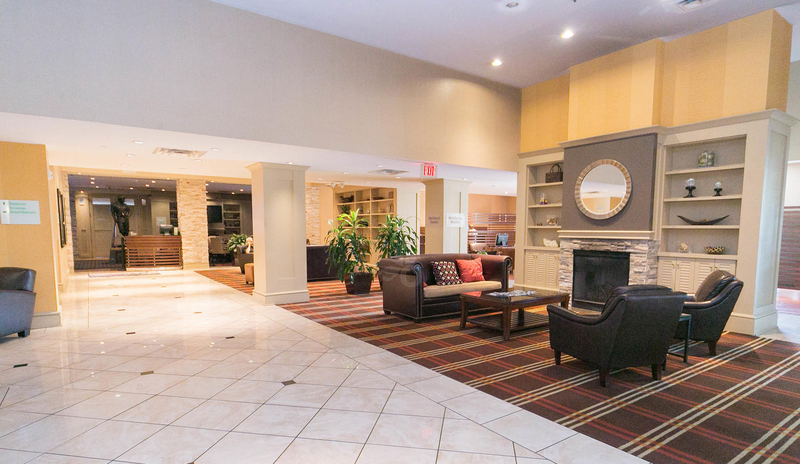 See a full list of our accessible spaces and learn more about our property’s dedication to ensuring our hotel is easily accessible to all guests. 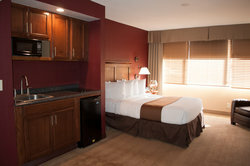 Relax in our King guest room, ideal for business travelers looking for streamlined accommodations. 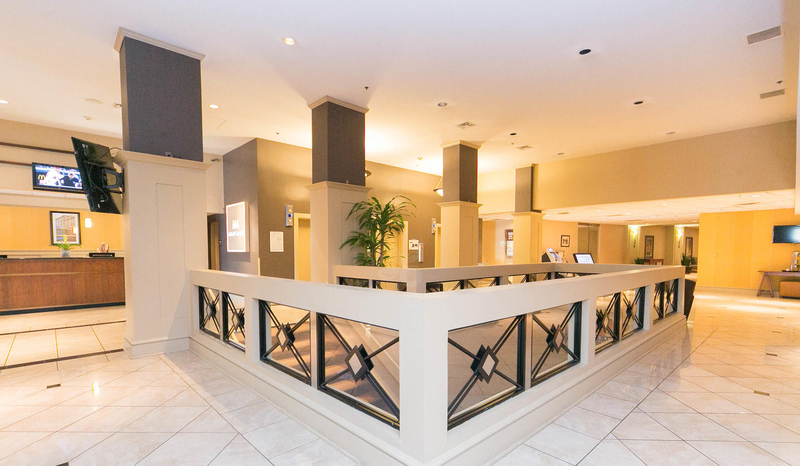 With a dedicated work space, it’s easy to work outside the office with our free high-speed Wi-Fi. 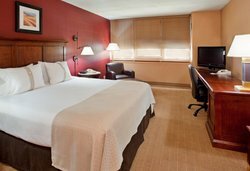 Our contemporary rooms are the perfect place to kick back and relax after a game at the Arrowhead or Kauffman Stadiums across the street. 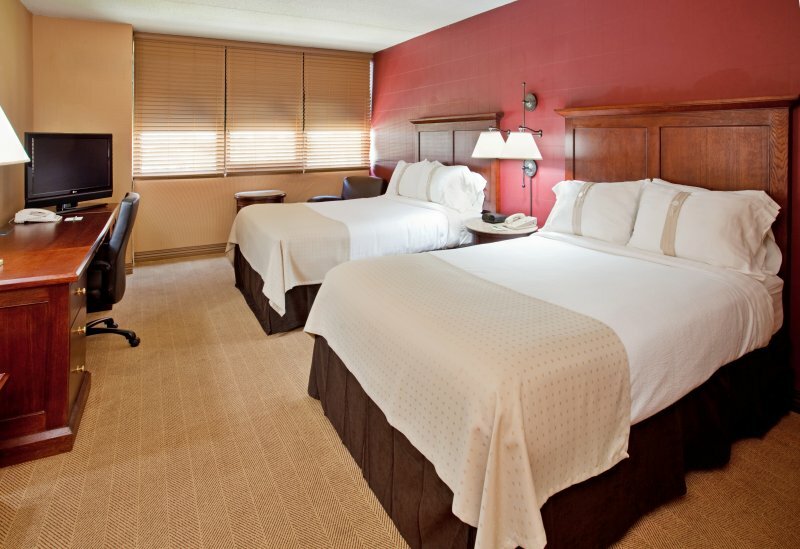 Perfect for a traveling group, rest easy in our cozy and affordable rooms with two double beds. 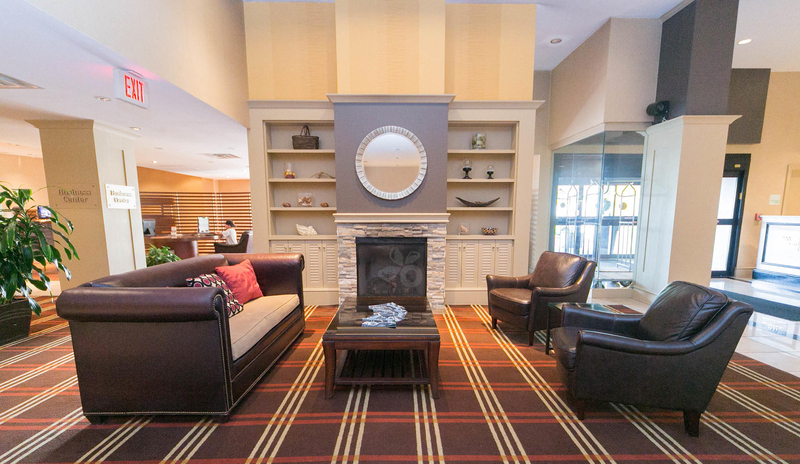 We’re a pet-friendly hotel with lots of outdoor space so bring along your furry friend. 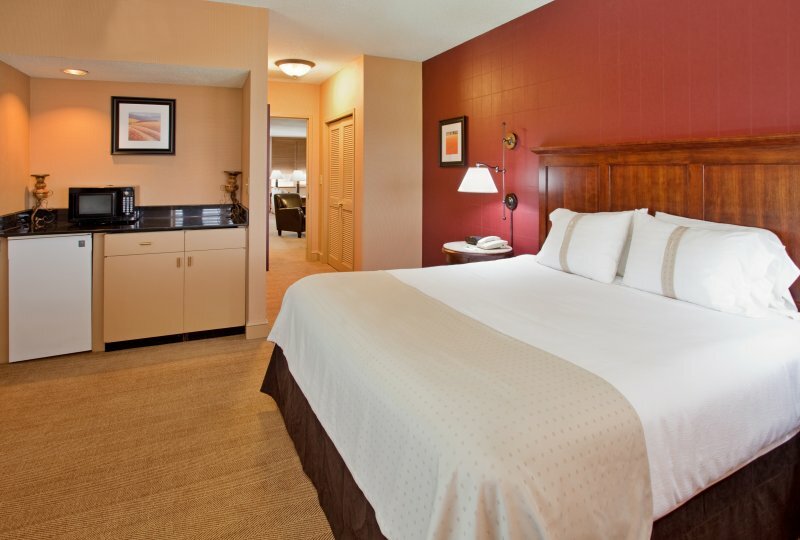 Our accommodations offer the perfect blend of contemporary design and comfortable amenities included within your room. Each of our hotel suites in Kansas City, Missouri has a separate living area for guests to relax and unwind. 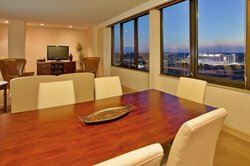 Call to book! Set up your home base in our oversized suites, complete with a mini-fridge, microwave and wet bar area. 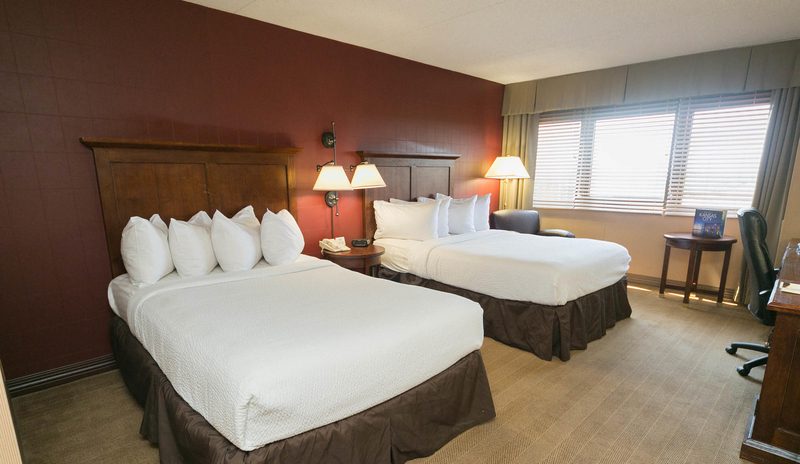 Sleep soundly on a king bed and pull-out sofa bed with premium linens. Prepare meals in the in-room kitchenette with a microwave, fridge, cook-top, and sink. 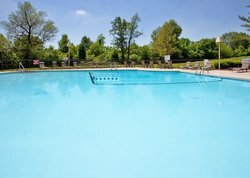 The indoor pool is open from 8 AM – 10 PM and the outdoor pool until 11 PM. 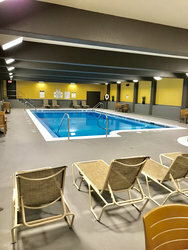 Relax and unwind in the adjacent hot tub. 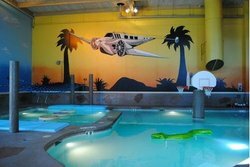 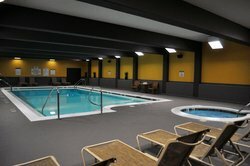 Swim in our indoor pool! 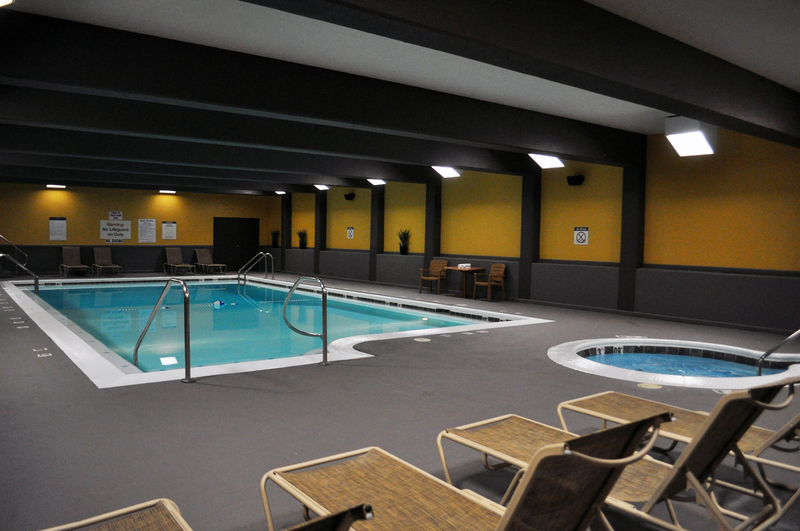 Relax and unwind in the adjacent hot tubs, open all year long. 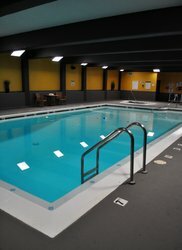 The indoor pool hours are from 8 AM – 10 PM. 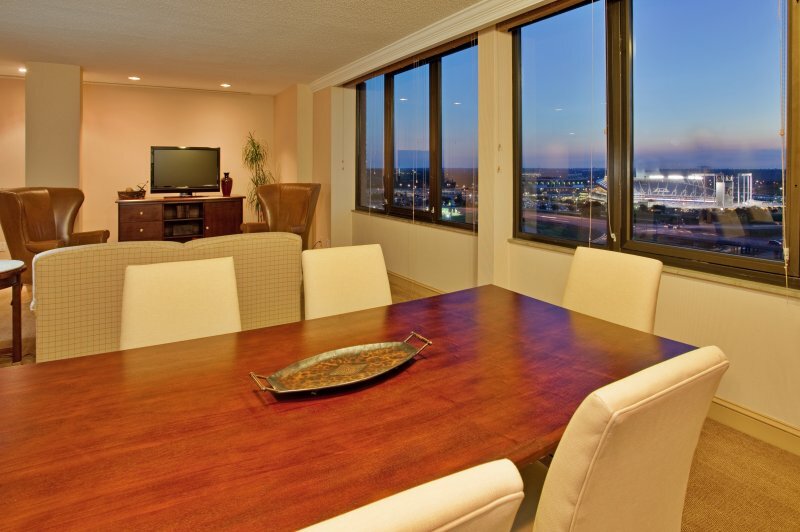 Relax and unwind in the adjacent hot tubs or lounge on the patio with outdoor furniture. Maintain your healthy lifestyle at our 24-hour fitness center! 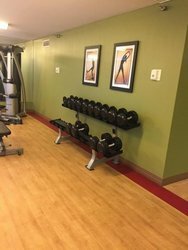 Equipment includes treadmills, ellipticals, recumbent bikes, weights, and a dip station and pull-up bar. You may also choose tp do some aquatic fitness routines at our KC hotel with an indoor and outdoor pool. 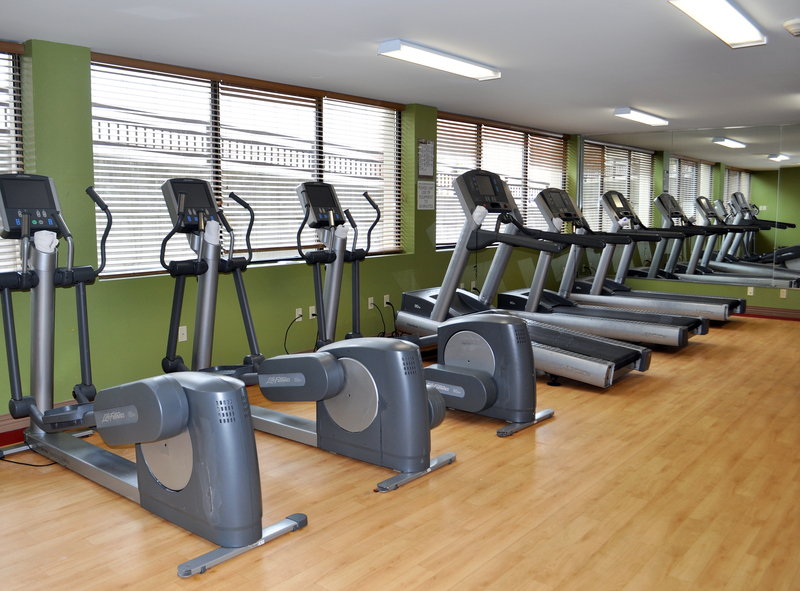 Maintain your healthy lifestyle at our 24-hour fitness center! 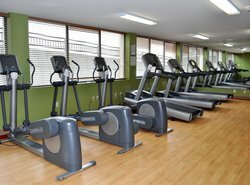 Equipment includes treadmills, ellipticals, recumbent bikes, weights, and a dip station and pull-up bar. 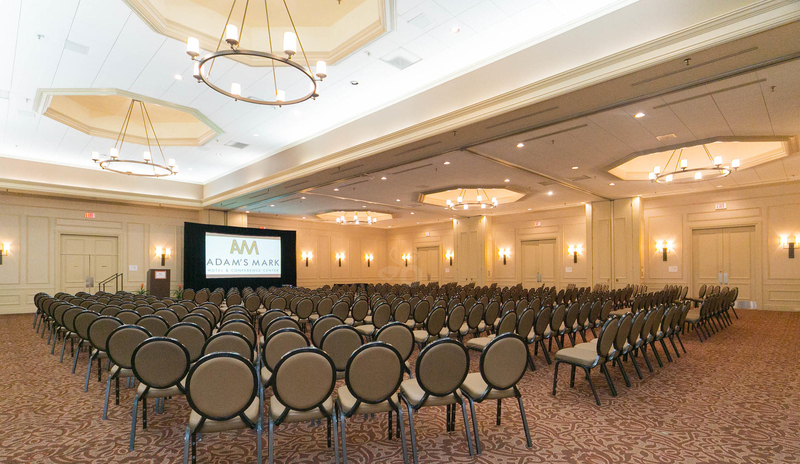 Our conference center has over 18,000 square feet of space, including an exhibit hall that holds over 900 guests. 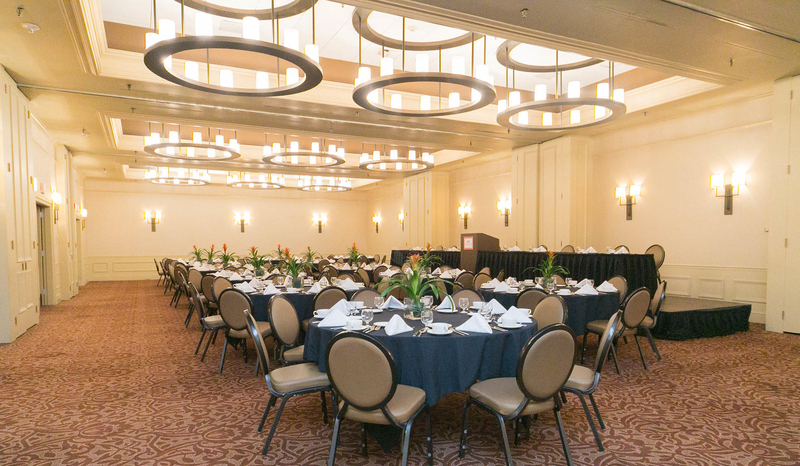 Whether you’re planning a professional conference, small break-out session, or large-scale banquet, our KC event venue is the ideal setting for your gathering. 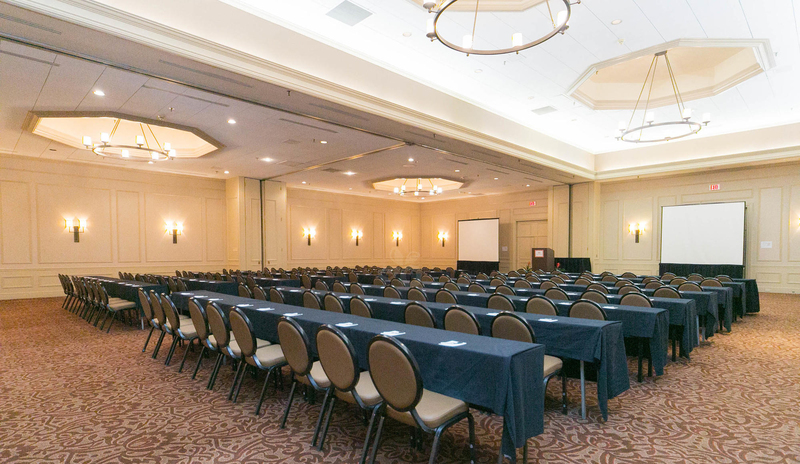 Why choose our conference center? 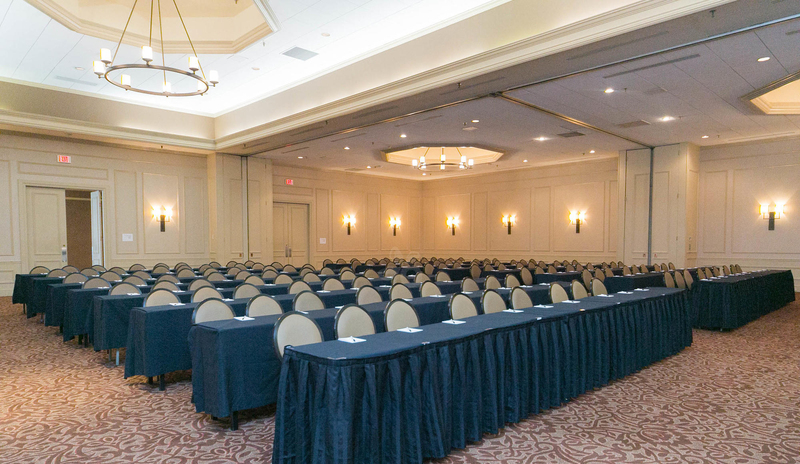 We offer two ballrooms that can be divided into 19 separate meeting rooms with complimentary Wi-Fi and six breakout spaces with built-in media boards. 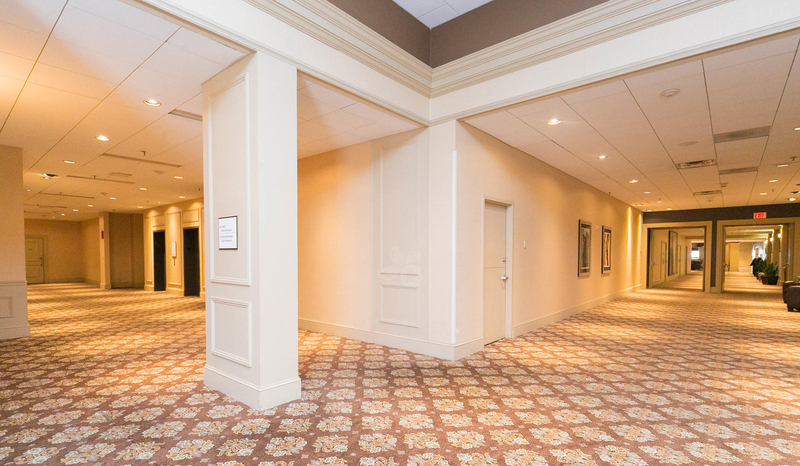 Discover our 16 foot ceilings in the grand ballroom! 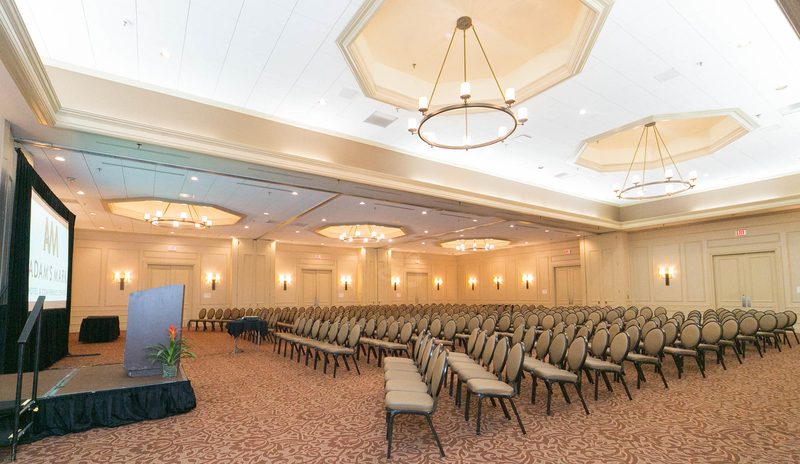 Our 18,000-square-foot conference center can be divided into distinct spaces, with the largest offering over 9,000 square feet of flexible space. 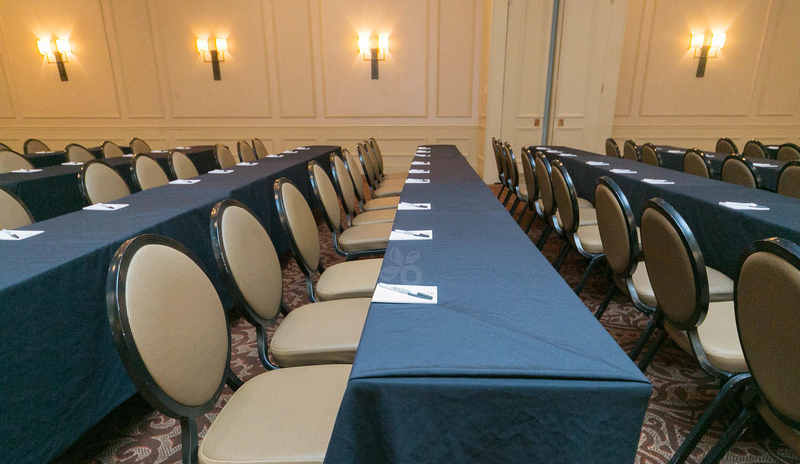 Located just 8 miles from downtown, our conference hotel is the choice destination for groups seeking versatile meeting rooms in Kansas City. 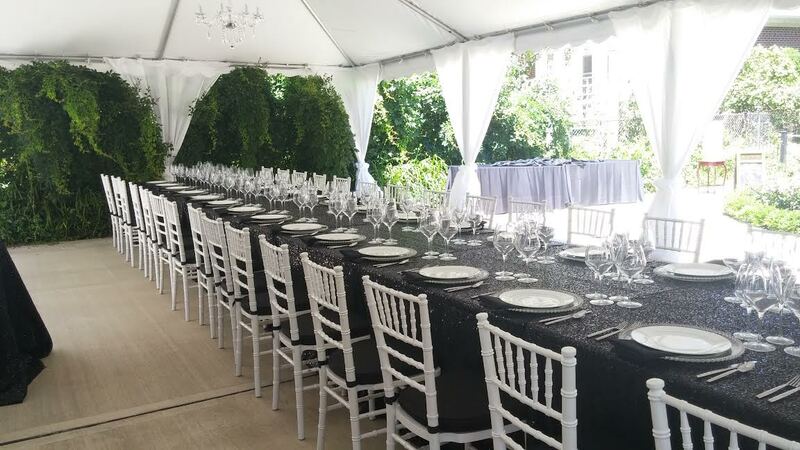 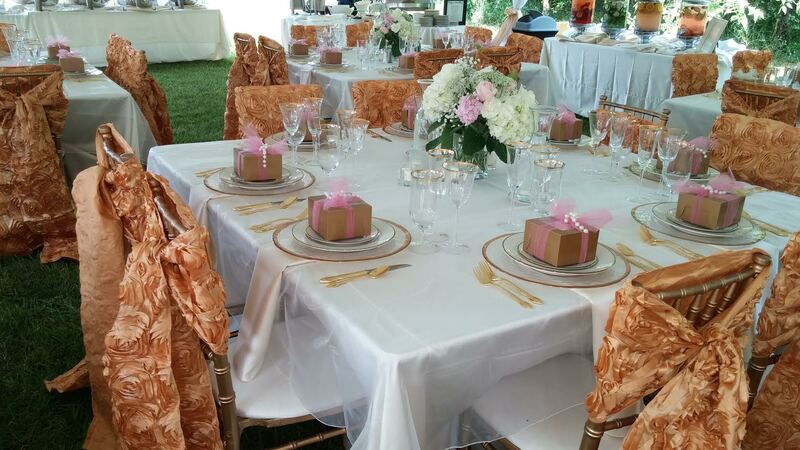 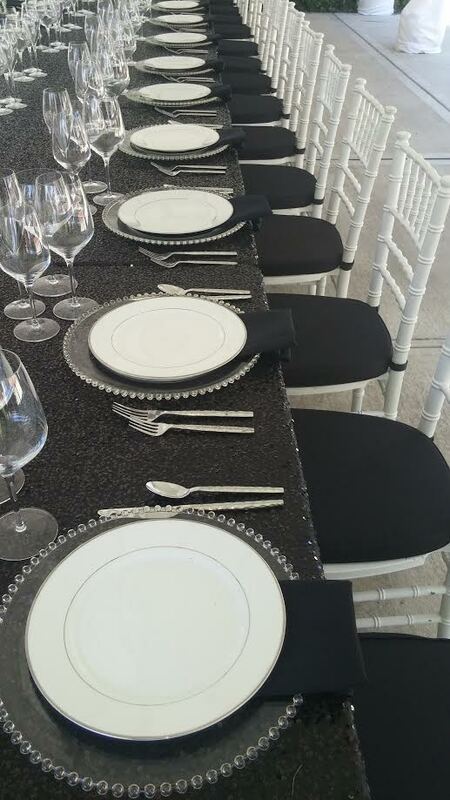 Our on-site meeting and wedding professionals are here to help execute the perfect event. 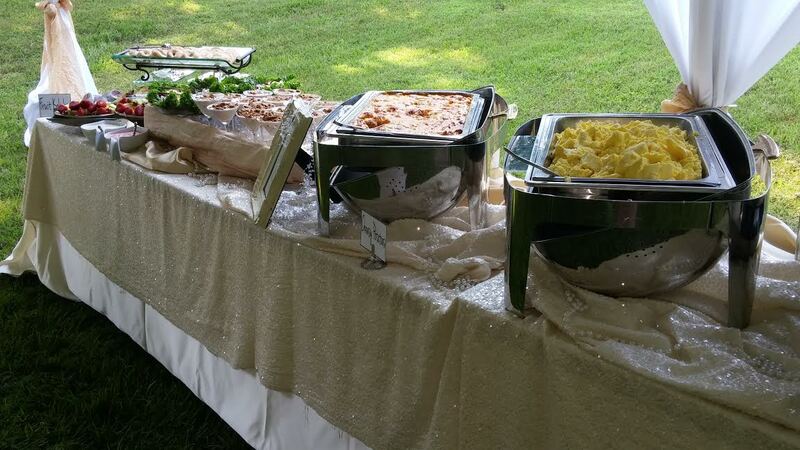 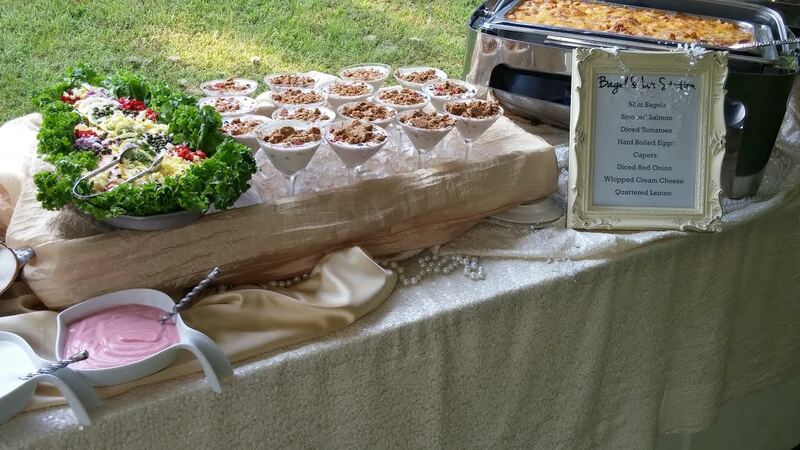 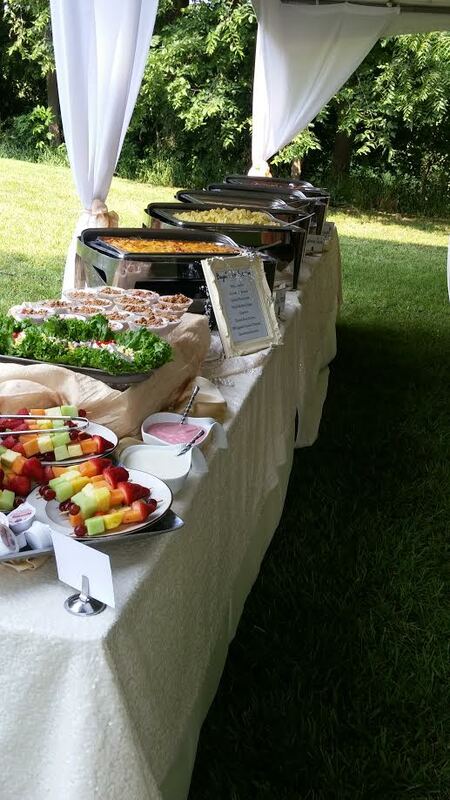 We offer a/v services, custom catering, and an experienced events team to help with setup and local vendors. 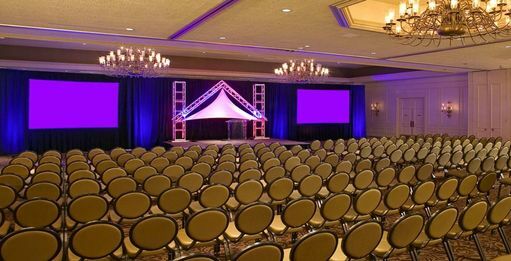 Plan a seminar or training session with ease at Adam's Mark Hotel. 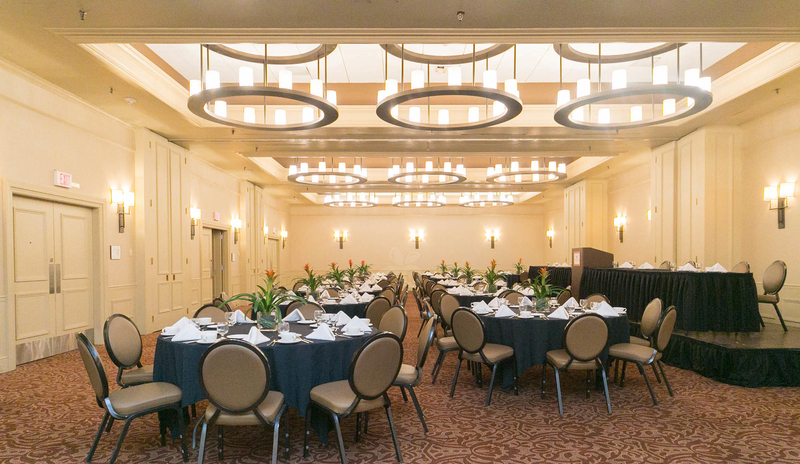 Plan your next successful meeting at our event venue in Kansas City, Missouri. 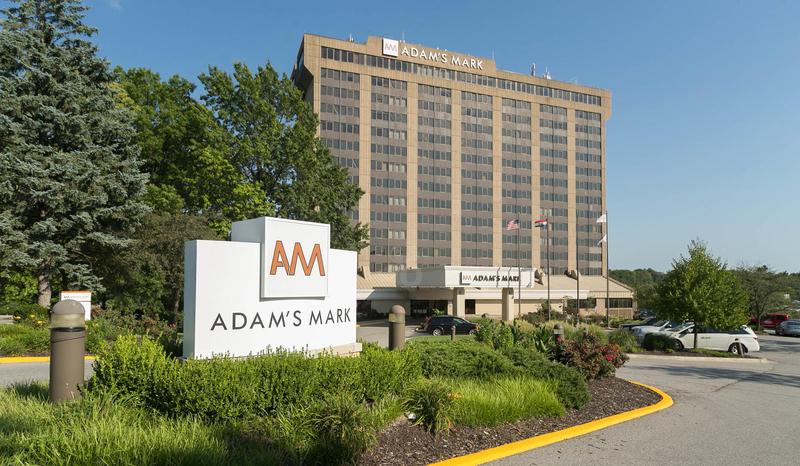 Adam’s Mark offers an exciting new hotel concept focused on providing unparalleled customer service in a warm and welcoming environment. 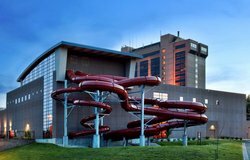 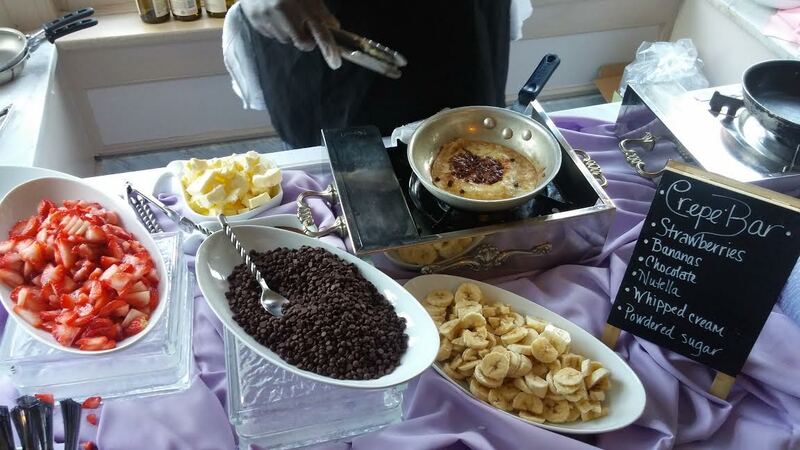 Our KC hotel caters to guests and clients through a variety of services, including 18,000 square feet of event and meeting space and a full water park. 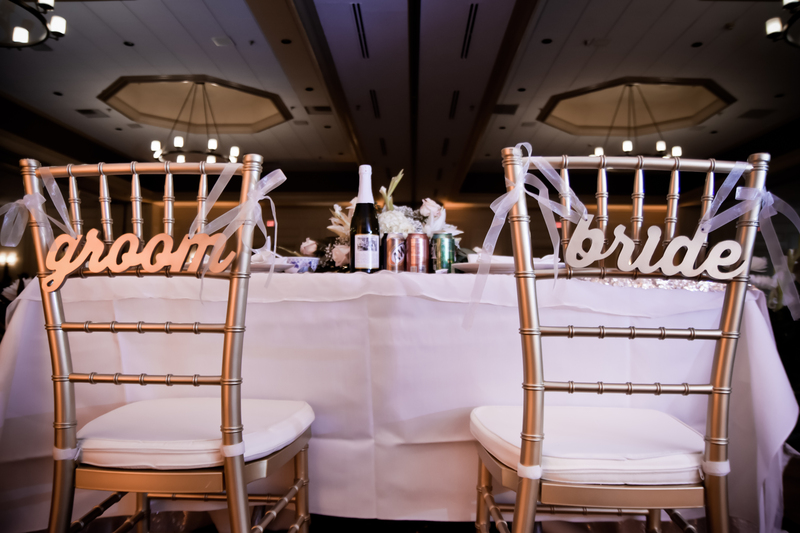 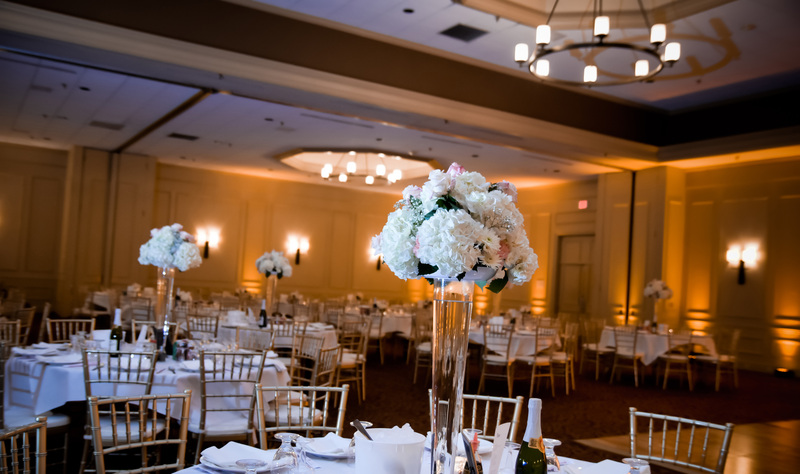 With the assistance of our sincere staff, it’s never been easier to plan a whirlwind and grand celebration! 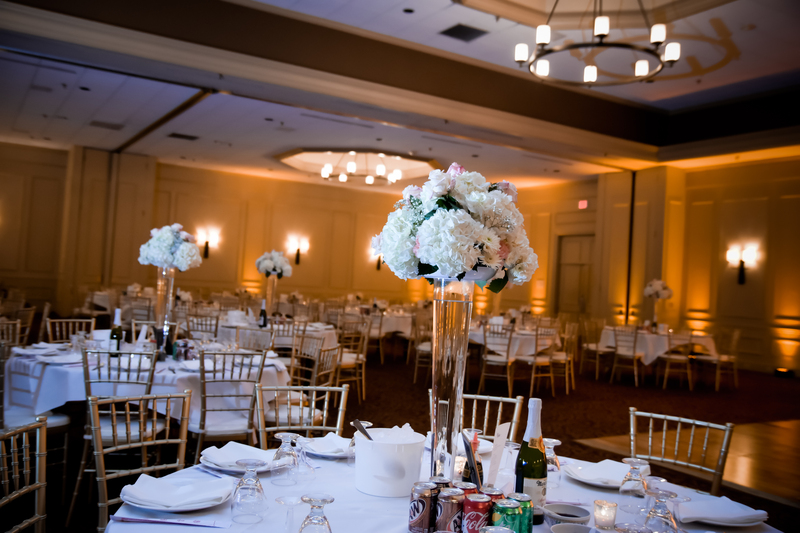 Contact our team today with our Event Space Form! 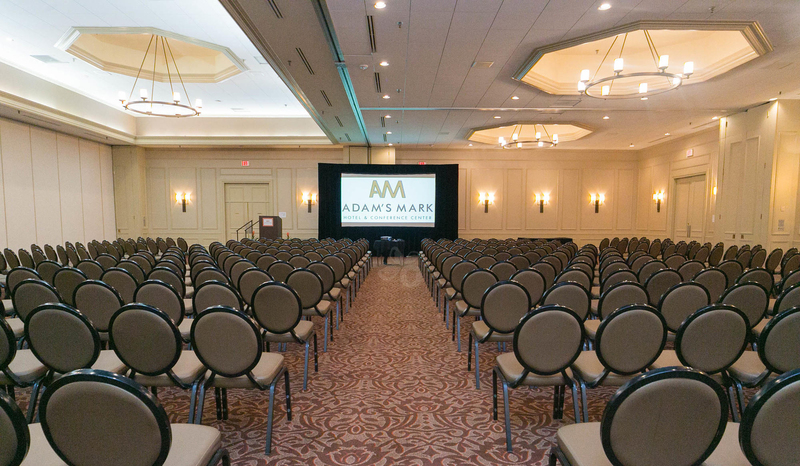 With over 18,000 square feet of space and 18 meeting rooms, our experienced events team here at Adam’s Mark is ready to assist with your professional conference, private banquet, or elegant wedding run smoothly. 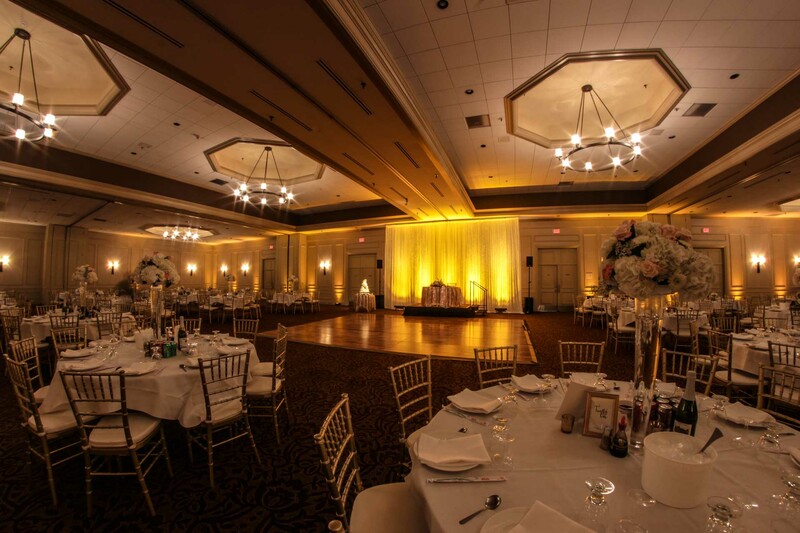 Choose an elegant venue as the perfect backdrop for you to shine on your special day. 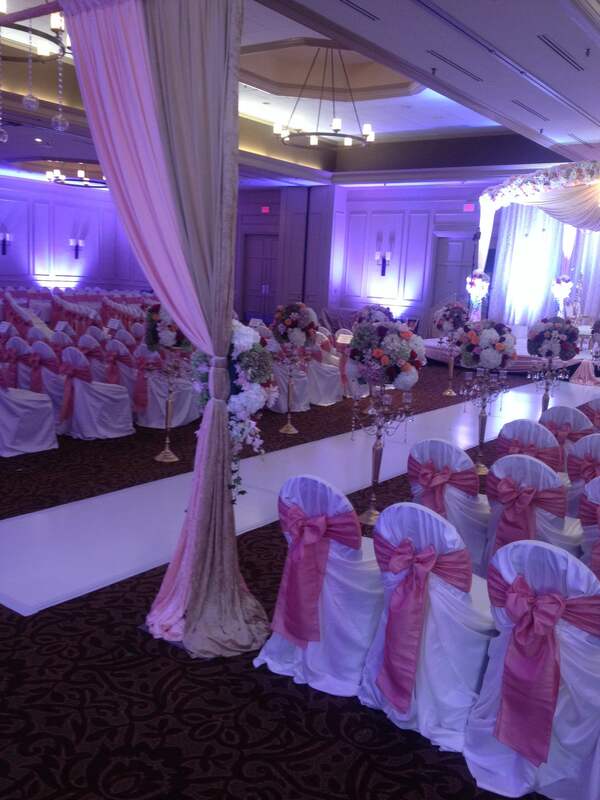 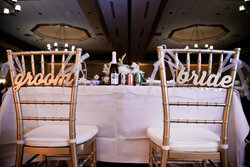 Our lavish Grand Ballroom offers an unparalleled setting for weddings and receptions alike. Let our dedicated staff sweep you off your feet with excellent service, and a spectacular setting. 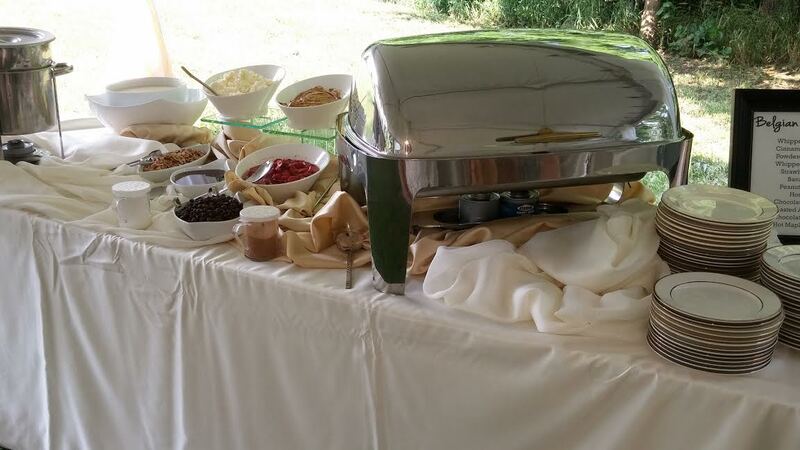 Now you can bring in your own catering for a truly unique, customized experience. 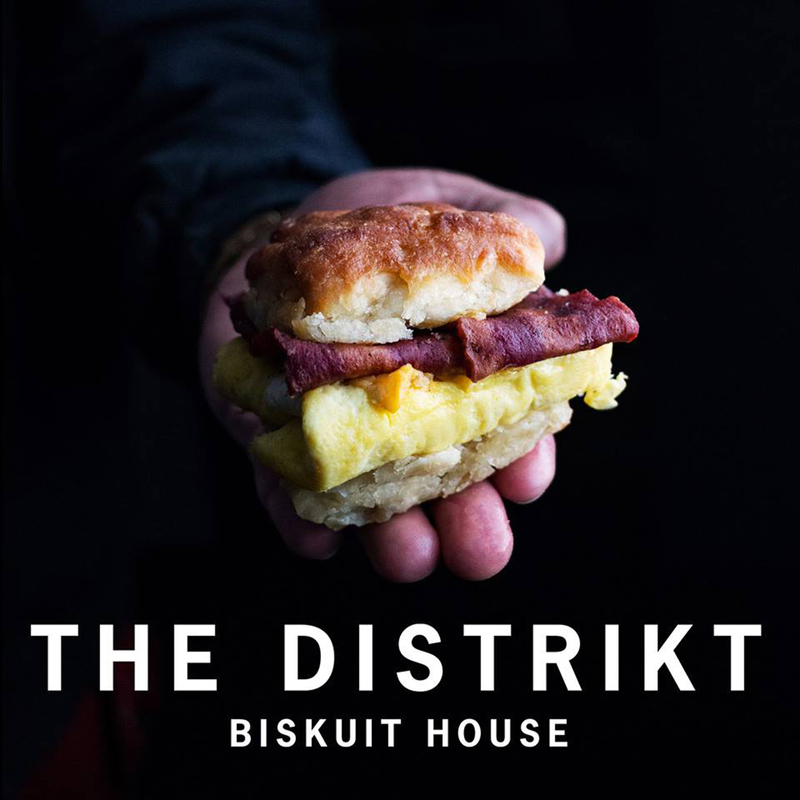 Locally known and independently owned, the Distrikit Biskuit Houses specializes in premier breakfast sandwiches. 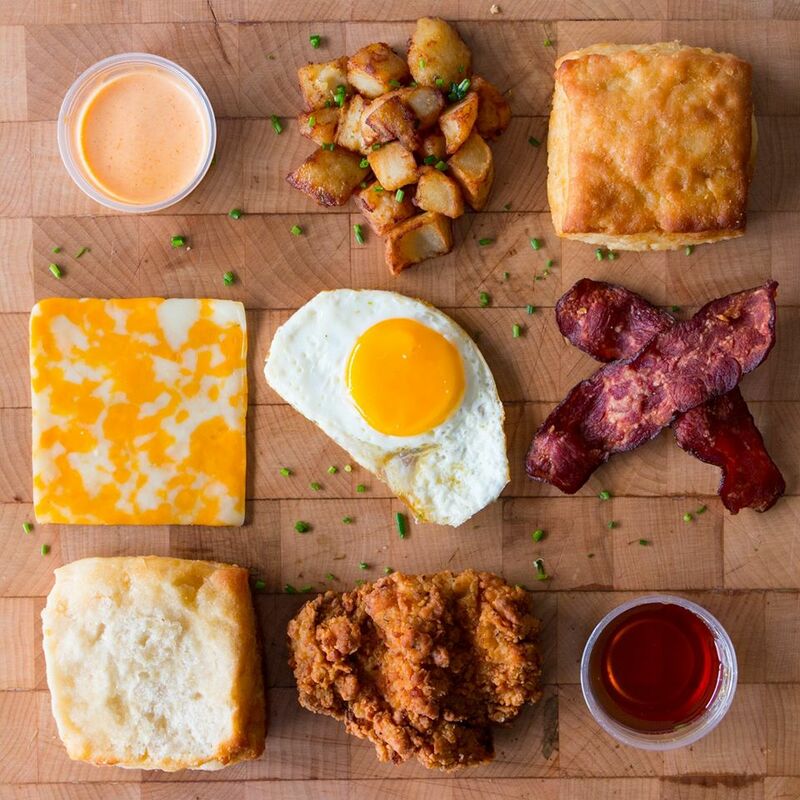 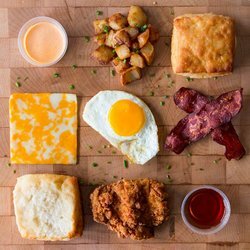 Pile crispy fried chicken or beef brisket with fluffy eggs, bacon, and cheese on a fresh hot biscuit. 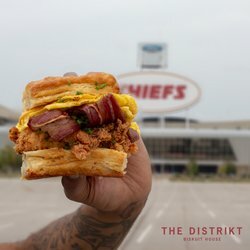 These mouth-watering sandwiches already have a loyal following by visitors and Kansas City residents alike. 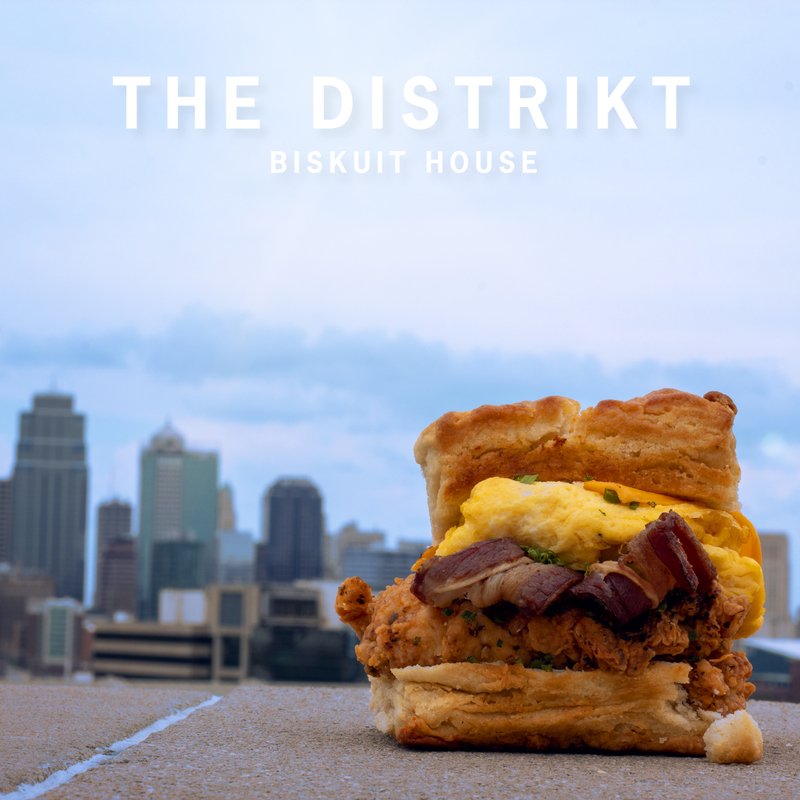 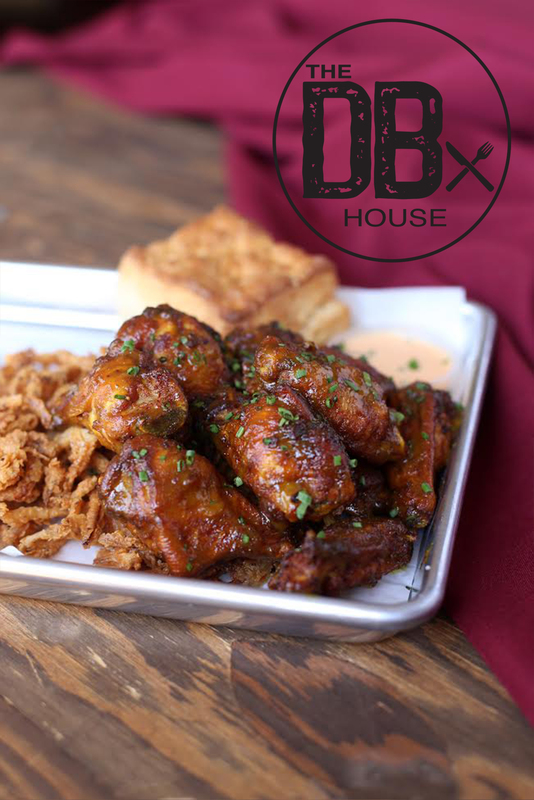 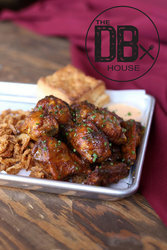 Indulge in fresh biscuits and fried chicken made from scratch as well as a taste of some of the best BBQ in Kansas City. 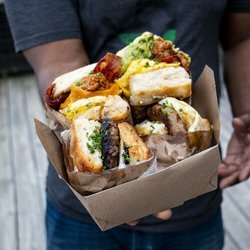 Fast and casual breakfast sandwiches with local flair. 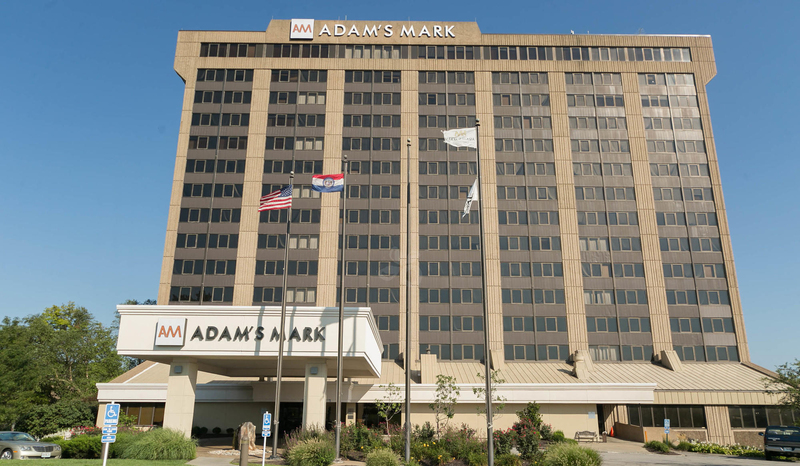 Enjoy some homestyle Kansas City BBQ during your stay at Adam's Mark Hotel. The Distrikt Biskuit House offers a passion for biscuits and better flavors in a breakfast sandwich. 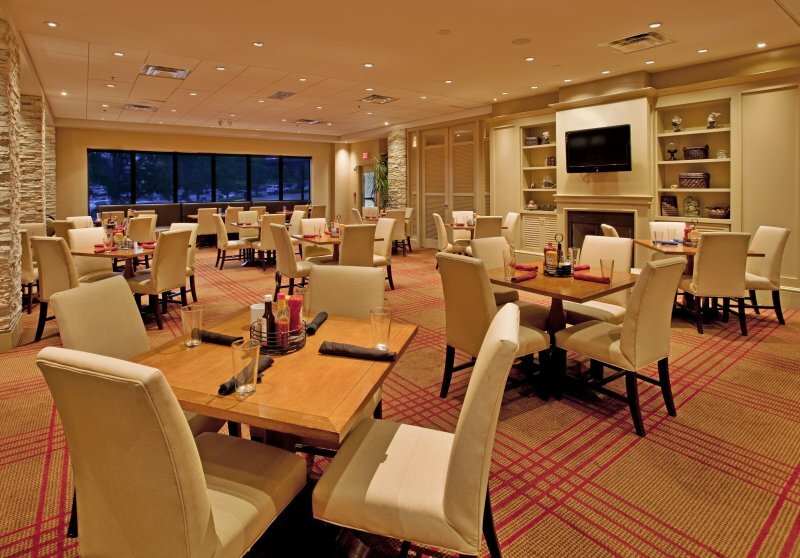 Discover some of the best restaurants in Kansas City, Missouri right at our hotel! 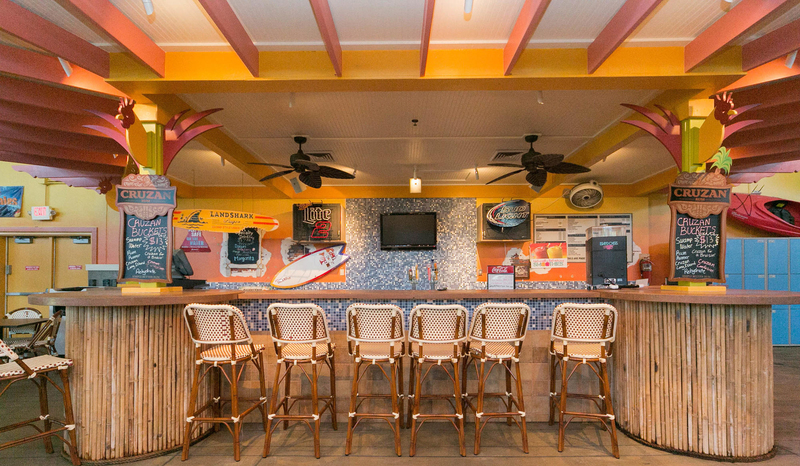 Kick back and relax with an excellent selection of beer and mixed drinks. 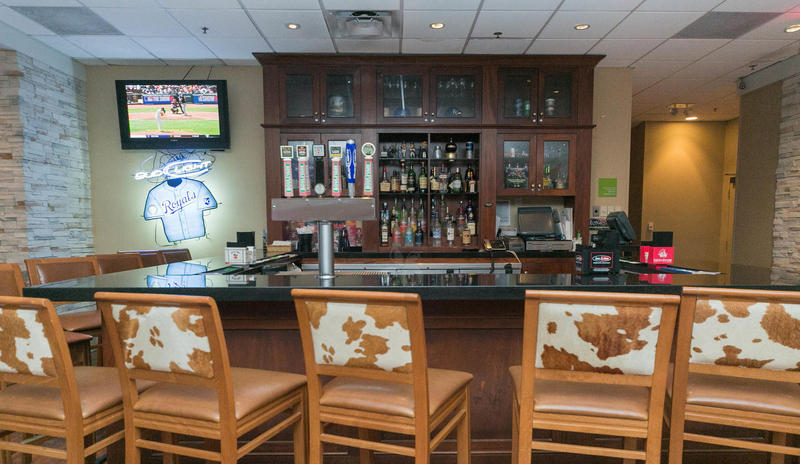 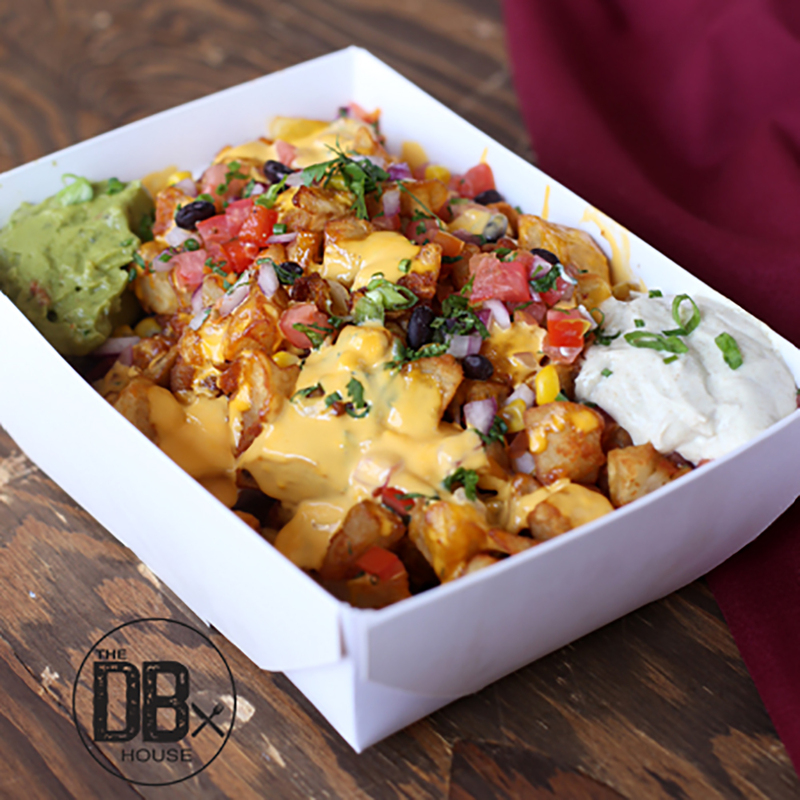 On game day, watch baseball or football on several flat-screen TVs! 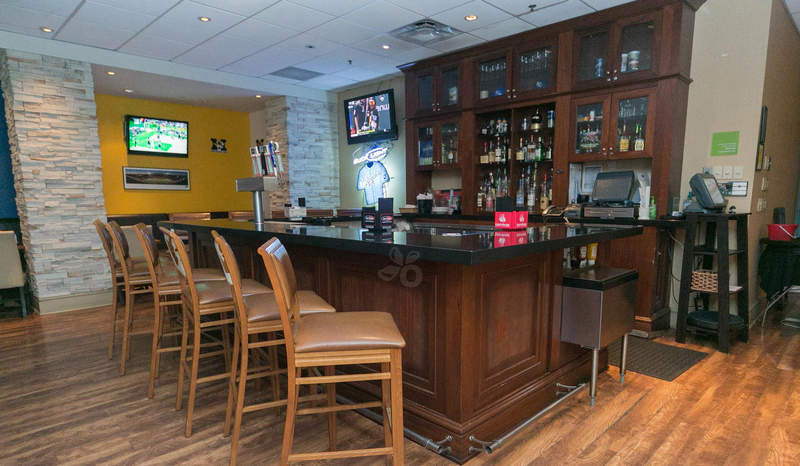 Watch the game at after-work Happy Hour with friends at Casey’s Sports Bar right here at Adam’s Mark Hotel or dig into a plate of homestyle goodness at the Distrikt Biskuit. 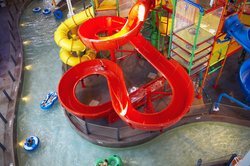 ﻿﻿This expansive indoor water park features body slides, lazy rivers, poolside cabanas, whirlpools, a wet bar, and much more. 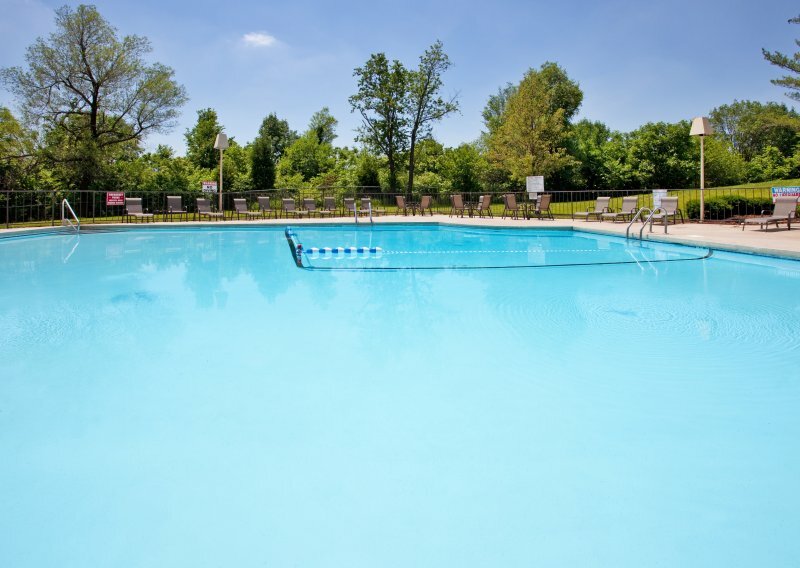 Also known as the ‘BBQ Capital of the World’ and ‘City of Fountains’, KC is home to top museums, beautiful parks, and some of the largest sports venues in the country. 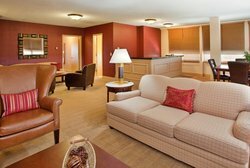 Easily walk or take our hotel shuttle to Royals games at Kauffman Stadium or Chiefs games at Arrowhead Stadium. Experience summer all year long at the tropical CoCo Key Water Resort, boasting body slides, lazy rivers, and much more aquatic fun! 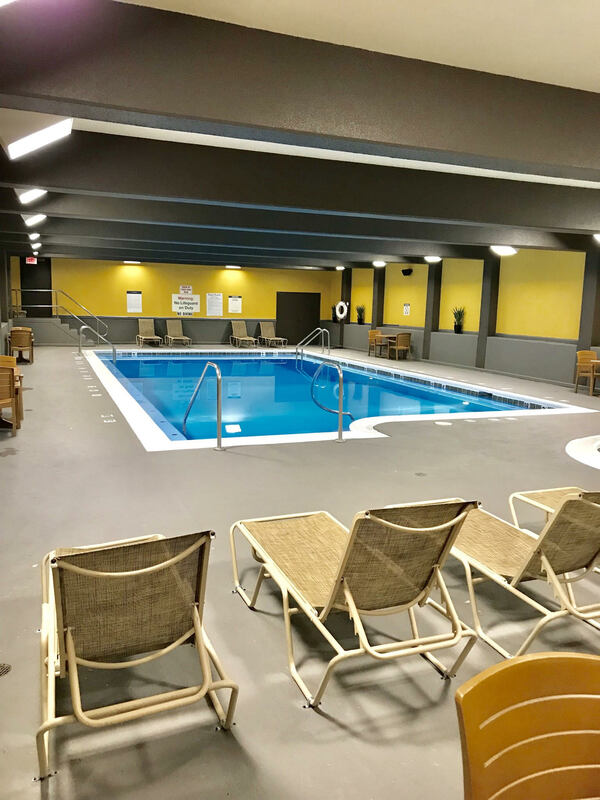 Our family-friendly hotel near Kansas City, Missouri boasts indoor and outdoor pools, pet-friendly accommodations, and special packages for local attractions. 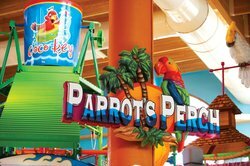 Play on Parrot’s Perch, an interactive aquatic jungle gym with three slides, or float down Coconut Grove Adventure River on an inner tube. 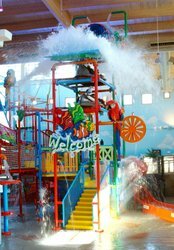 There is splash pad areas for smaller children, water basketball courts, an obstacle course, and much more! 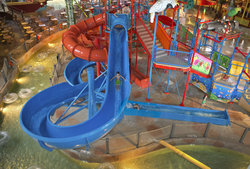 Even higher water slides include Pelican Plunge, Barracuda Blast, and Shark Slam! 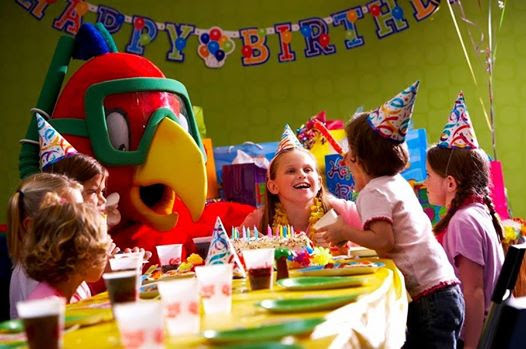 Book a private cabana ahead of time or a birthday party package for the full day experience! 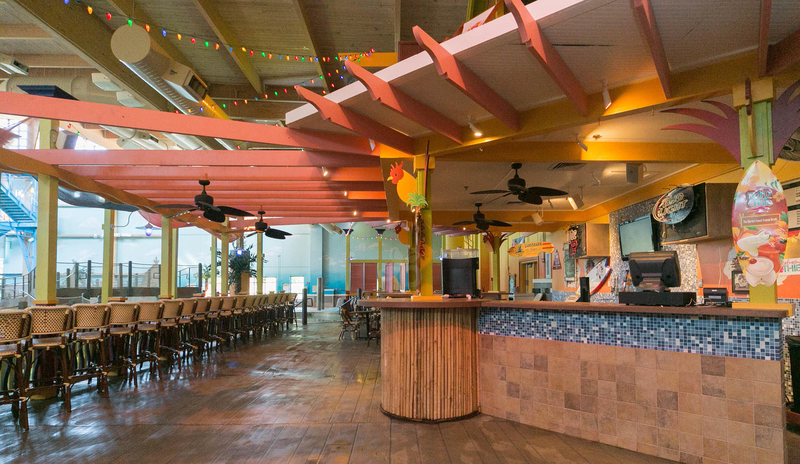 Float down Coconut Grove Adventure River on an inner tube. 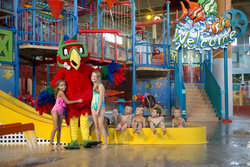 Wet Rooster offers adult beverages and fruit smoothies for children. Gators Grab & Go is the spot for hot pizza, burgers, and hot dogs. 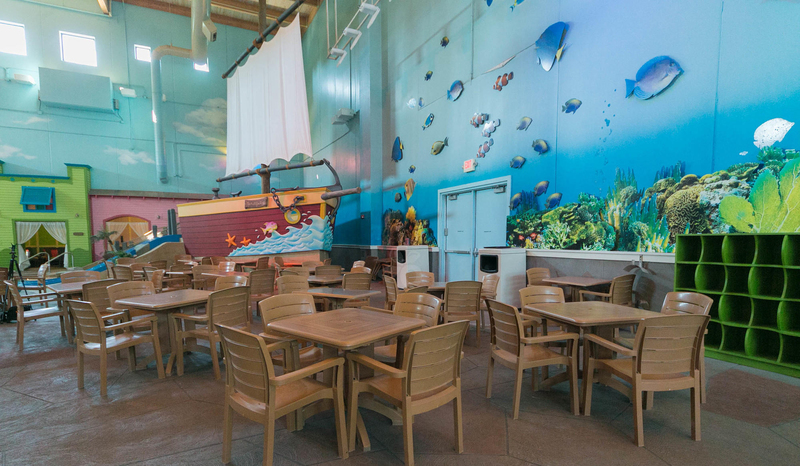 The water park offers two on-site eateries for you to grab refreshments or a more robust meal. There are splash pad areas and gentle slides for younger children. 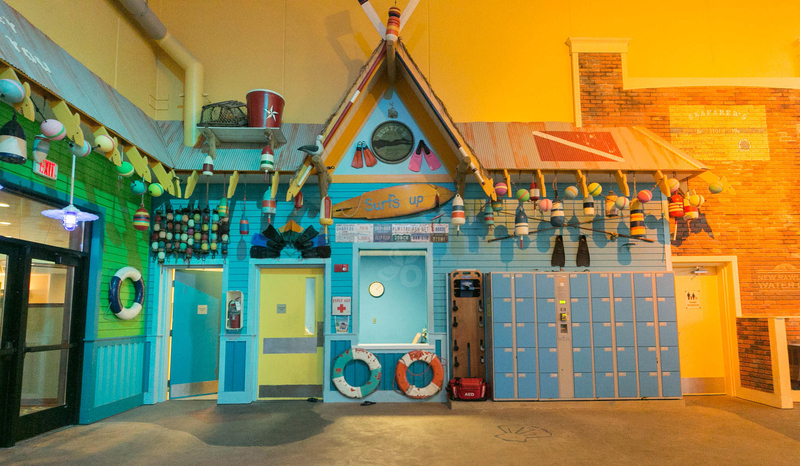 Guests must book a water resort package or purchase a day pass for water resort access. Wristbands are required for entrance. Lazy River has a lift to lower guests into the water. 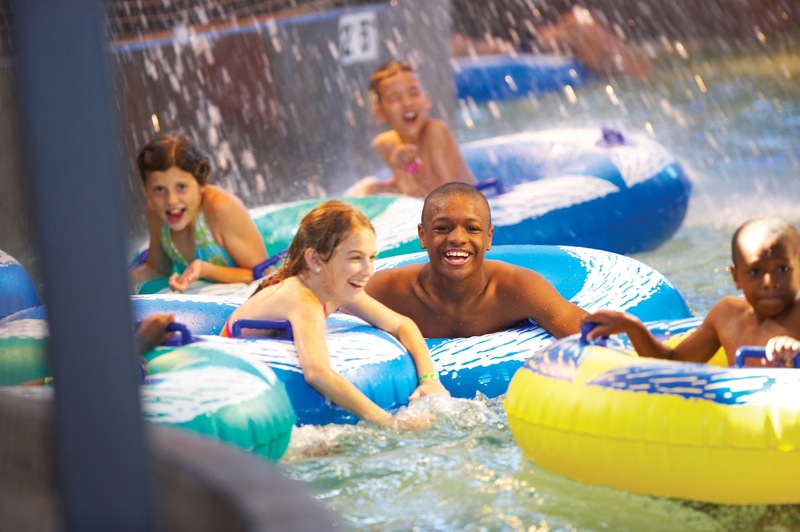 Lifejackets are available on a first-come basis. 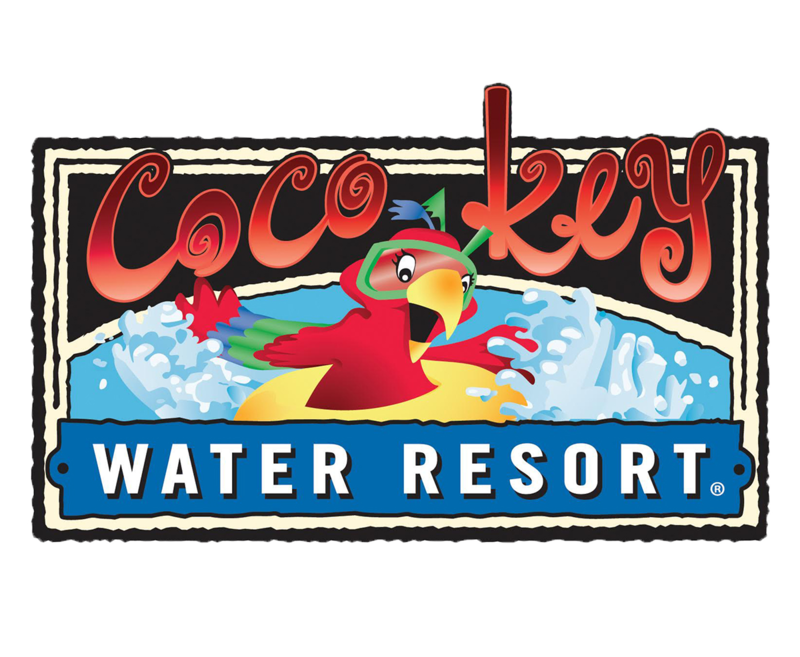 There’s no shortage of things to do at CoCo Key! 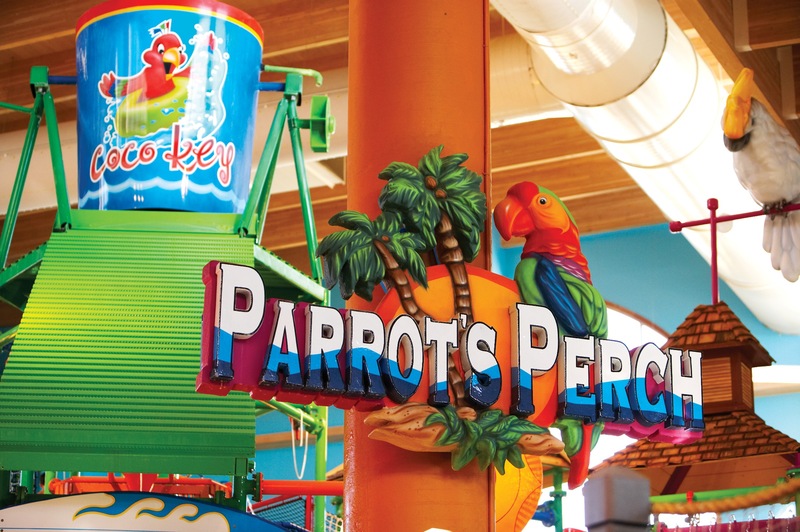 Play on Parrot’s Perch, an interactive aquatic jungle gym with three slides, or float down Coconut Grove Adventure River on an inner tube. 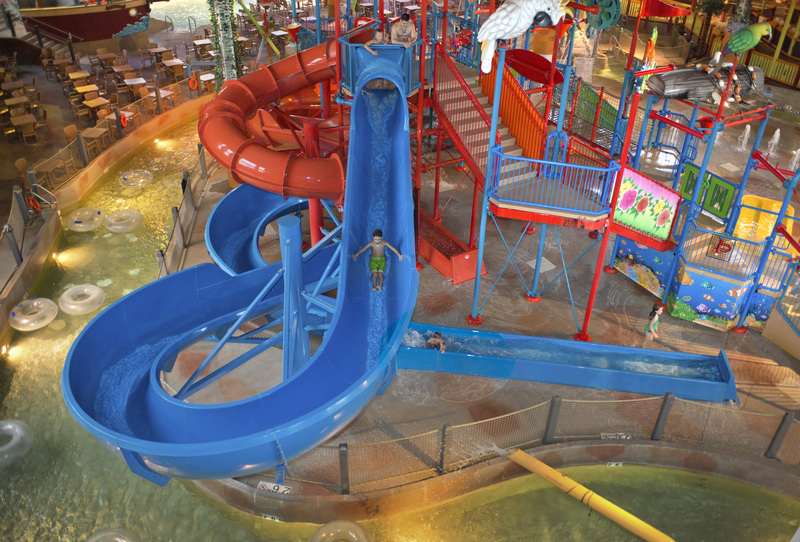 Even higher water slides include Pelican Plunge, Barracuda Blast, and Shark Slam! 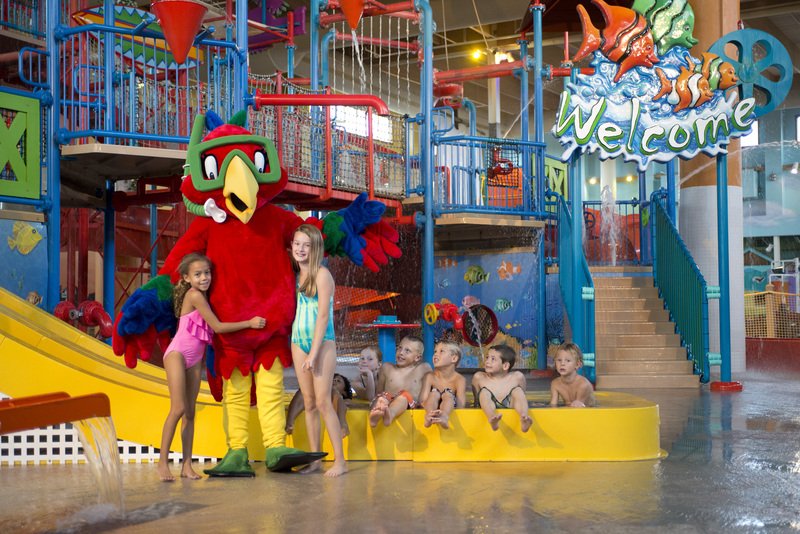 There is splash pad areas for smaller children, water basketball courts, an obstacle course, and much more! Hit the Arcade on dry land for over 50 different games, with traditional favorites, family-friendly competitions, and state-of-the-art consoles. 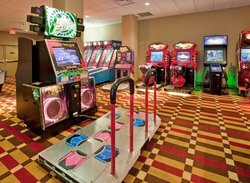 Hit the Arcade on dry land for over 50 different games, with traditional favorites, family competitions, and state-of-the-art consoles.